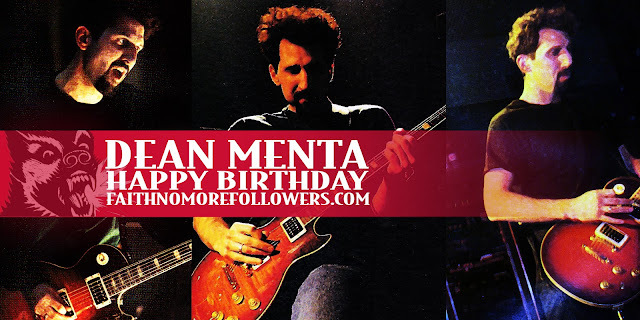 Happy birthday to ex Faith No More guitarist Dean Menta. 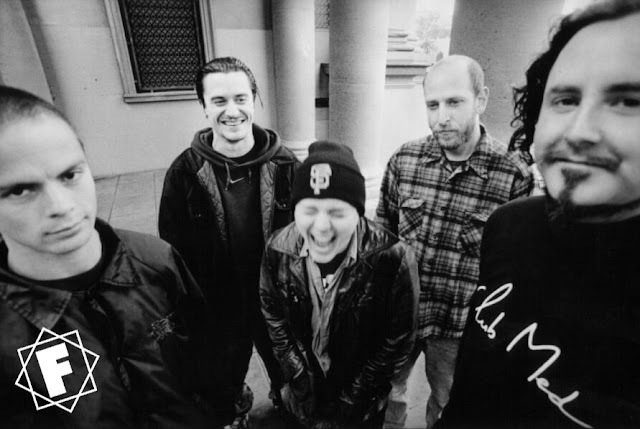 Dean joined FNM shortly after the recording of King For Day in late 1994. Trey Spruance wasn't right for the band so FNM turned to their keyboard roadie and professional video game soundtrack composer to take over. Prior to his time in FNM he played with band 'Duh' which was signed to Alternative Tentacles and also featured Greg Werckman. 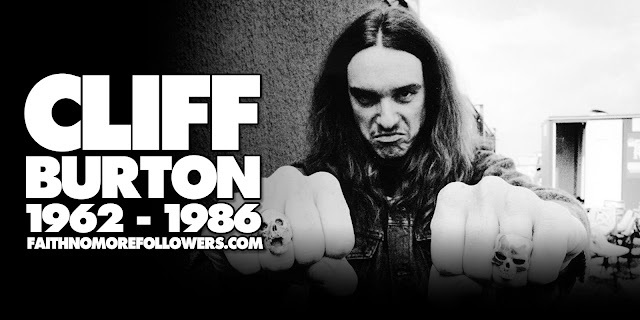 Dean performed every show in support of KFAD with an energy and passion that suited the music well and was radically different to Jim Martin's solitary stature. 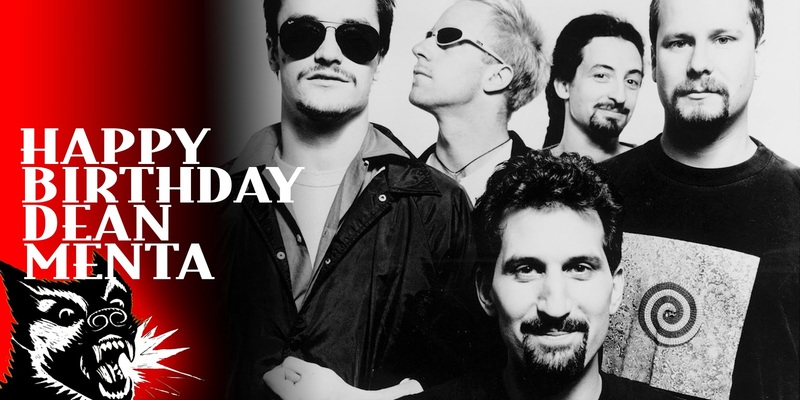 Dean was with FNM until early 1996 when it became apparent that his style of writing didn't suit the band. After leaving FNM dean went on to work with Sparks. "I've been playing since I was 12 or 13. I've never studied it, like taking lessons, I've just always been a music fan and expressed myself through my guitar and a four-track. But I initially started working with Faith No More on the crew during the Angel Dust tour. I was doing computer consultancy with regards to music software programs. What I basically did, and still do, are all sorts of sequencing and hard disk recording stuff. Roddy got my name and number from somewhere, so I started hooking up with him every so often trying to teach him more about computers and then I went on tour with him. I guess he'd never had a roadie before, he and Billy used to share the same guy, but on the Guns N' Roses tour they wanted a separate person for each job. I'd never done keyboards before, never been on the road, had no prior experience of bands at that level." "Not at all, it seemed iike a good thing actually. They weren't this band and it was their identity, they were normal people. I was generally excited to tour and travel, and it was very cool to find out that they weren't what you'd think rock bands are. Because most of the other 'personalities' I'd met were people I didn't have anything in common with and wasn't interested in having any sort of relationship with on a personal level." "I had about a month of rehearsals on the new stuff before the tour began." "Geordie (Walker- Killing Joke) was nearly in the band, then Trey Spruance joined the band... but I always had my suspicions in the back of my mind that it might work out that I would be in one day. "Dean's a great guy. He's part of our family. Why didn't we try him before? He was pretty close; he lives with Billy and we didn't think about him. All the while he was on tour with FNM, He was watching us saying, 'Goddamn, I could do that better.' It's so funny because I thought, what's the matter with Dean? He's obviously not being part of the crew. I asked him one day and he said, 'I told Roddy I don't really want to be a tech guy; I'm a musician. I like you guys a lot and it's very frustrating for me to see something that I think I could do better.' Shortly thereafter, we started playing together at soundchecks because we didn't have a guitarist there a bunch of times, and Dean played great. It's a comfortable fit". "Then Dean Menta, who replaced Trey, was actually my roommate -- talk about close to home! He's a great guitar player as well, so everyone is feeling good about having him in the band." Dean Menta is one of my favorite guitarists out there. I think he deserves an award for his work. And a very happy birthday to him.